In 1965, filmmaker Frank De Felitta filmed a documentary focused on changing times in the American South, particularly the tension-fraught Mississippi Delta. 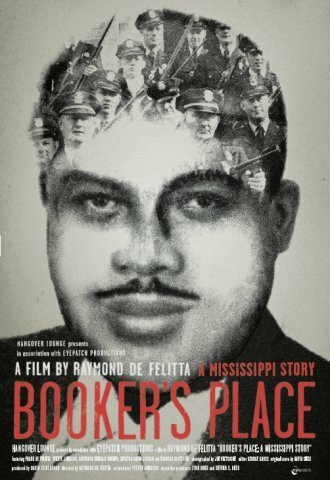 The film was broadcast on NBC News in May of 1966 and outraged many Southern viewers, in part because it included an extraordinary scene featuring a local African American waiter named Booker Wright. Wright, who worked at a local "whites only" restaurant in Greenwood, Mississippi, went on record to deliver a stunning, heartfelt, inflammatory monologue about the realities of racism in the community. The fallout for Booker Wright was extreme. He lost his job. He was beaten and ostracized by those who considered him "a traitor." Booker's Place, his place of business, was torched. Forty-five years after Booker's television appearance, Frank De Felitta's son, director Raymond De Felitta, journeyed into the Mississippi Delta with Wright's granddaughter to learn more about who Wright was, the mystery surrounding his courageous life and untimely death, and the impact of the NBC News documentary.